Did You Lose Yard Trees in the Storm? Come Get Replacements at the Yard Tree Giveaways!Treephilly Did You Lose Yard Trees in the Storm? Come Get Replacements at the Yard Tree Giveaways! Did You Lose Yard Trees in the Storm? Come Get Replacements at the Yard Tree Giveaways! If you missed your chance to get a tree this past weekend, you can come to any of the events listed above as a walk-in participant in the second hour of the event only. 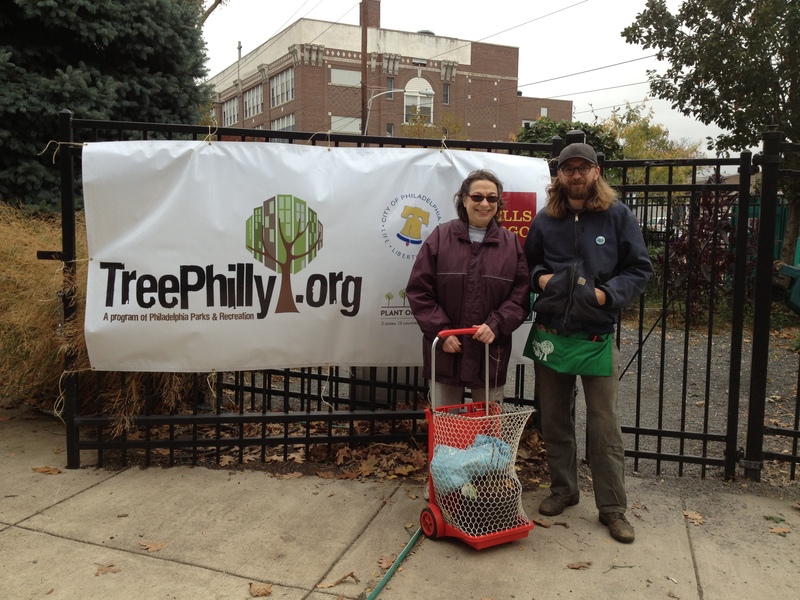 Philadelphia Parks & Recreation arborist Ben Stanko helped new tree owner Martha Onusconich pick out a white fringetree at Columbus Square on Sunday, October 28th.